How Much Time Is Spent In Identity Theft Recovery? Becoming a victim of identity theft can be devastating in many ways. Your sense of safety can feel compromised and your financial well-being can be jeopardized. One way that is often overlooked is the sheer amount of time that can be stolen from you as well. How much time is spent in identity theft recovery? We hope to provide you with a clearer picture and show you another reason why your security is so important. What Is The Time Frame For Identity Theft Recovery? Short answer: It depends. Let’s say you find one fraudulent charge in one of your bank accounts. You’d immediately identify your institution, close this account and open a new, secure account. You’d also check all of your other accounts/assets in search of additional breaches (as well as keep an eye on them daily for the foreseeable future). In this case, you would probably be done within the course of a day. However, if you were the victim of a more severe case, with the thief using your information to obtain health care or open multiple new accounts, you could be looking at an ongoing issue. This may take months and tens of hours of mantime to restore your good standing. The most extreme cases can take up to a year and hundreds of hours to recover. How Can I Speed Up Recovery Time? The first thing you can do is report any fraud as quickly as possible. The faster you identify a threat, the less time they have to do damage. You’ll also want to immediately file a report with the FTC (Federal Trade Commission) and flag your credit file for fraud with each of the credit bureaus. The easiest way to save time is to have a membership with a reputable identity theft recovery service. 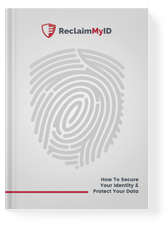 For example, ReclaimMyID will do all of the legwork to recover your identity and your assets once you report a theft. This includes contacting your financial institutions, credit bureaus, etc. A modest yearly fee can save you hours of time and months of insecurity. How much time is spent in identity theft recovery? We hope that the answer to this question is more clear to you now. Your time is precious, so don’t allow identity theft to steal it from you (along with your financial security).